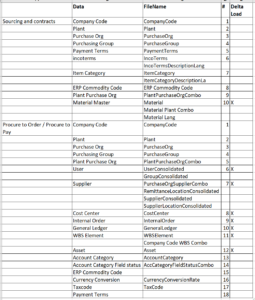 The standard program /ARBA/MASTER_DATA_EXPORT needs to be customized or you will keep wasting your time to find the implicit enhancement points which are too less and not in the right places. So I just did what was the easier thing to do copied the entire program as a Z and then did the changes. 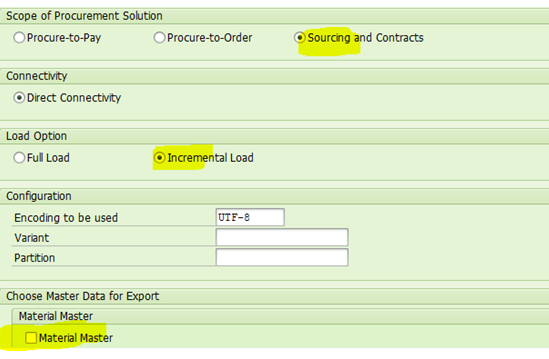 When you run the program you see radio buttons like Procure to Order and Procure to Pay, Sourcing, and contracts. It may require you to change some column name to make it as the primary key for example instead of the user Id which is the default primary key for the user extraction client wanted to make email ID as the primary key. 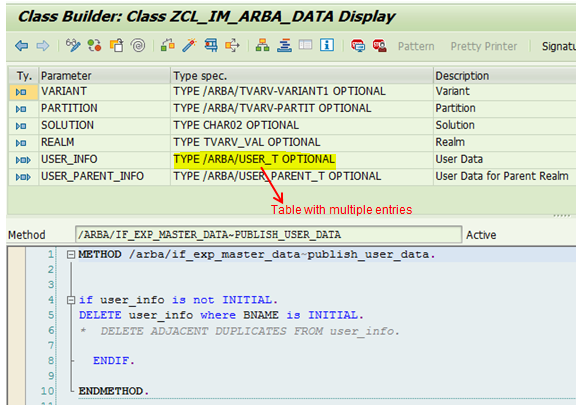 So, I had to change the name of the column for email as UNIQUENAME (Ariba understand UniqueName column as the primary key) for the user extraction file and assign it as value of email. 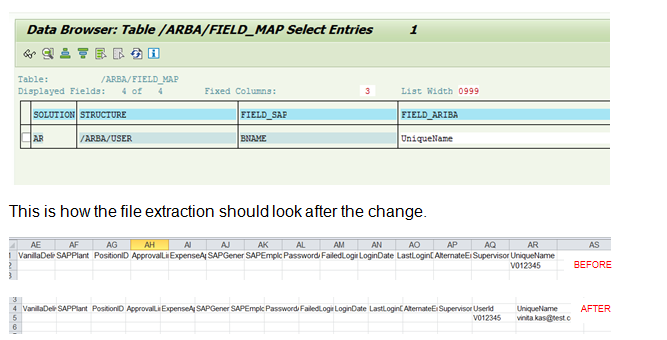 In /ARBA/FIELD_MAP the field BNAME (User ID) currently is mapped to Ariba field UNIQUENAME. I now want the email ID field to populate for UniqueName. Let’s have a look at how this was done. 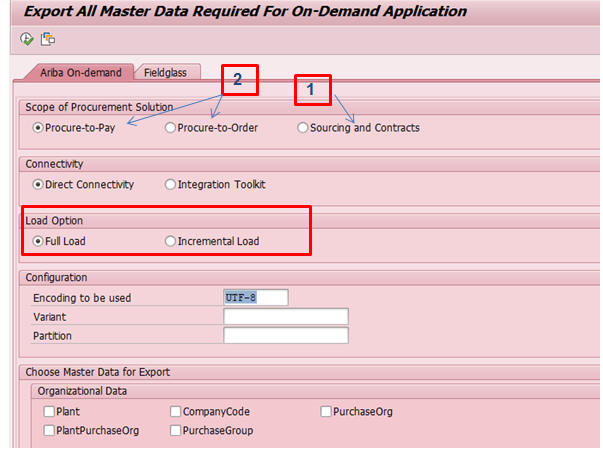 Create Documents like the contract, PO to ensure the system data for the users is correctly updated and you are able to create the documents successfully with multiple users.